Link Global Management can provide a full range of payroll services in Denmark. The individual will be engaged on our payroll and income is paid in the form of salary, allowances and expenses, the proportion of each part depending on individual circumstances. Link Payroll will discuss your personal circumstances with you and help you to minimise your tax and social security liabilities, within the boundaries of Denmark legislation. Income is managed tax efficiently, not just in Denmark but also in any other country where there may be a liability. A tax return is filed each year in Denmark with advice and assistance from Link Global Management who will also provide help with filing tax returns elsewhere, if required. 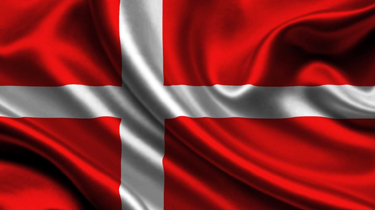 A special expatriate tax regime applies to foreigners employed by Danish-resident employers. Under qualifying contracts, salary income is taxed at a flat rate of 31.92%, including an 8% labor market tax, for five years, instead of at the ordinary rates of 39% to 56%. Two alternatives exist for individuals to qualify for the special expatriate tax regime. Under the first alternative, if the individuals are acknowledged as scientists by the Danish Research Council, no requirements for a minimum salary income apply. Under the second alternative, individuals must reside in Denmark and their cash salary must beat least DKK 69,300 per month in 2013. In addition, the individuals must not have been fully tax liable to Denmark within the last 10 years. Expatriates may participate in the regime for 1 or more periods totaling no more than 60 months. After the 60 months, the expatriate is taxed according to ordinary income tax rules. Each taxpayer is permitted a personal allowance deduction of DKK 42,000. In addition, certain alimony payments are deductible. The personal allowance not fully used by one spouse may be transferred to the other spouse. Thinking of contracting in Denmark?